Mary Lou Cortez has 45 years of experience as an educator, and two years as a reading specialist at Adams Hill Elementary School, which is part of the Northside Independent School District. 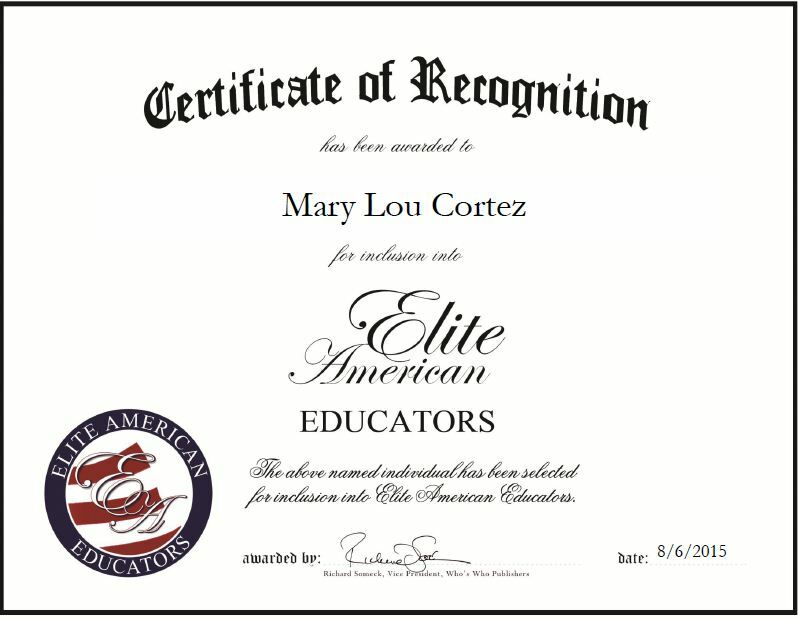 As an expert in special education, Ms. Cortez teaches special ed for first- through fifth-grade students, in the subjects of reading, mathematics and language arts. She teaches catechism in the evenings. She attributes her success to her hard work and to the support she received from her teachers. Ms. Cortez became involved in her profession because of her experience with her brother, who had learning problems. In years to come, Ms. Cortez hopes to continue teaching. This entry was posted in Reading education and tagged catechism, elementary school, language arts, mathematics, reading specialist, special education. Bookmark the permalink.